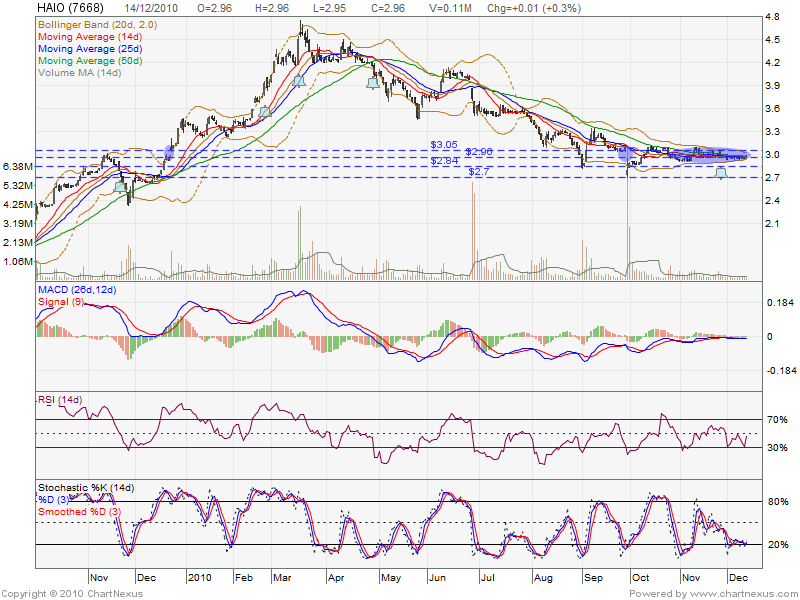 HAIO been consolidate since Mid of October till today & forming bolinger band squeeze. Will it break up OR break down bolinger band squeeze? 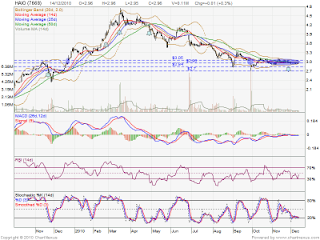 If break down, may look for RM2.84 & RM2.70 support level.